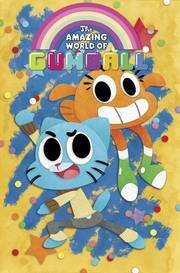 Gumball, Darwin, and all of their friends take on the world of comics! Gumball thinks he's the coolest kid on the block, but his little sister Anais begs to differ, and Darwin just wants to keep them all out of trouble. There's always another adventure to be had in their mixed-up world!